"Woohoo!! Thanks Clever Mutt for yet another job outstandingly well done." 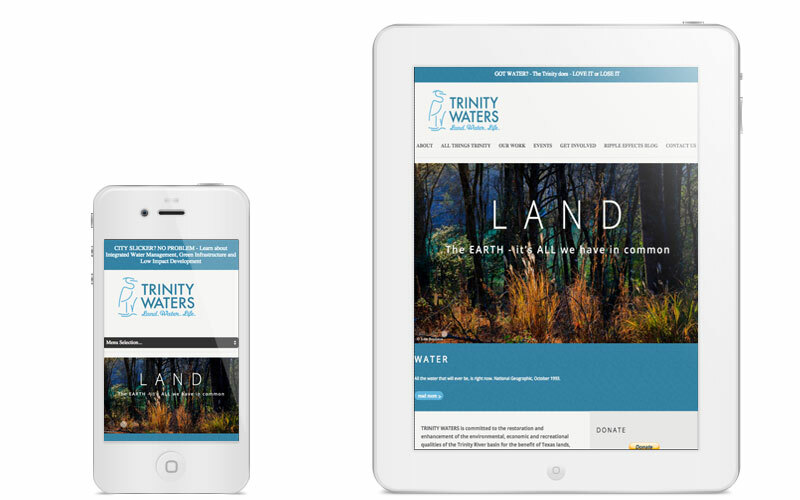 Trinity Waters approached Clever Mutt™ to create a new, mobile responsive website that could be self managed and grow with the organization over time. 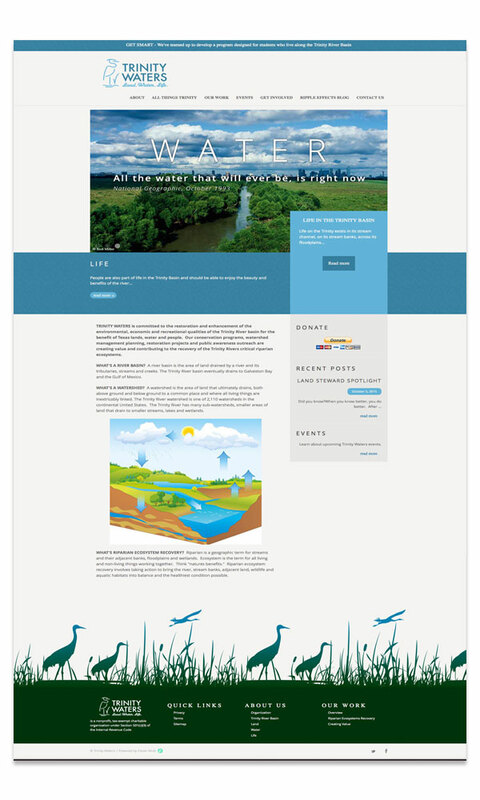 The site contains events, donations integration, the 'Ripple Effects' informational blog and more. 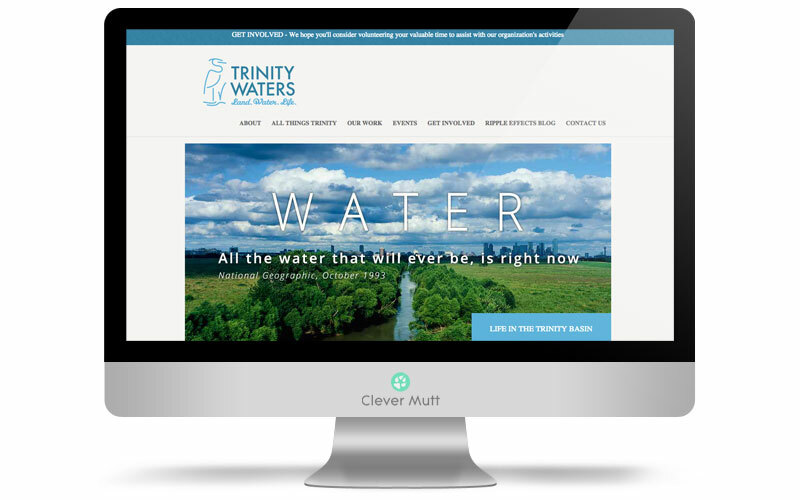 Trinity Waters' website is powered by the Clever Mutt™ Portal web content management system. Trinity Waters is committed to the restoration and enhancement of the environmental, economic and recreational qualities of the Trinity River basin for the benefit of Texas lands, water and people. Our conservation programs, watershed management planning, restoration projects and public awareness outreach are creating value and contributing to the recovery of the Trinity Rivers critical riparian ecosystems.